MTI Highspeed products for dental professionals. 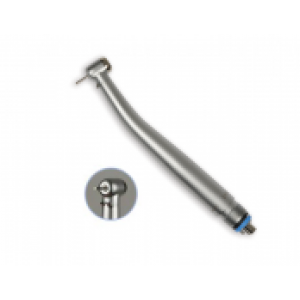 Handpiece Highspeed Standard Head 4-Hole Product Name: Standard Head Manufacturer: House ..
Handpiece Highspeed Push-Button 4-Hole Product Name: Push Button Manufacturer: House..
JP Challenger Push Button Highspeed 4H Product Name: Push Button Manufacturer: Johnson Pr..
Not for sale in Canada. RPM: 420,000 Turbine: Manual Spray System: Single Port Accepts: Friction Gr..
Not for sale in Canada. RPM: 400,000 Turbine: Push Button Spray System: Single Port Accepts: Fricti..
Not for sale in Canada. RPM: 420,000 Turbine: Push Button Spray System: Single Port Accepts: Fricti..
High Speed Leverage Push Button HP 4 Hole Product Name: Push Button Manufacturer: House B..
Hydrolux Push Button Handpiece Ceramic German Cartridge Hydrolux Push Button Handpiece Cer..
MTI Dental’s 336 High-Speed features high power, smooth cutting efficiency, and a durable canis..
Pointech® MINI PUSH BUTTON • Ceramic Bearings • Double Port Water Spray • Air Cooled • Recommended ..
Vector Eco45 Surgical Handpiece Product Name: Vector Handpiece Manufacturer: Vector ..
430 SW Handpiece Lubricated Product Name: Star High Speed Manufacturer: DentalEZ Group ..